Creative Beasts » A New Year. A New Wave. Home > art, creative process, faith, inspiration, music	> A New Year. A New Wave. That’s what it is every time you walk into the room to write with someone new. It’s like, oh god I have to take my clothes off ‘my creative clothes’ and let them see all of my flaws. Trish! 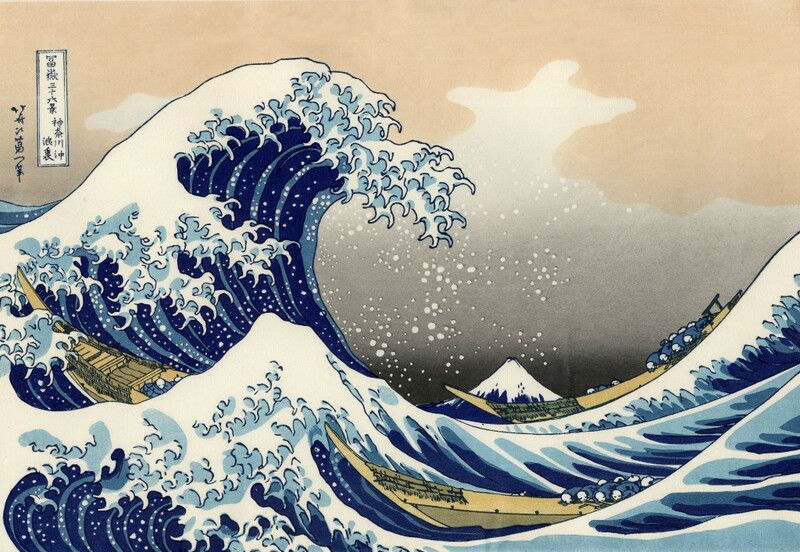 I love “The Great Wave of Kanagowa”, this is one of my favorites. I recently did a piece of art that was inspired by that piece. Sticking It To You: Exit Through the Gift Shop. Could Your Company Use a Brand Makeover?